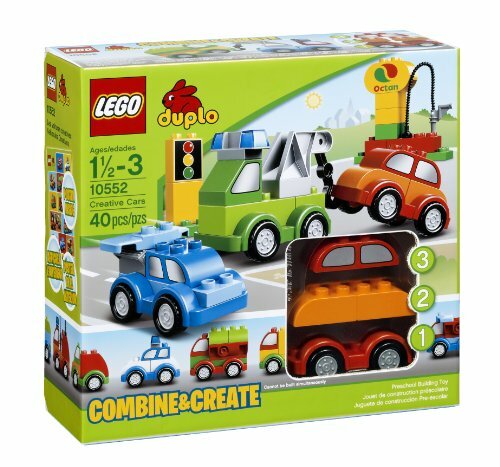 Zoom about town with all of the LEGO ® DUPLO ® Creative Cars set featuring over 40 colorful, vehicle-themed DUPLO bricks to develop and rebuild the coolest automobiles! 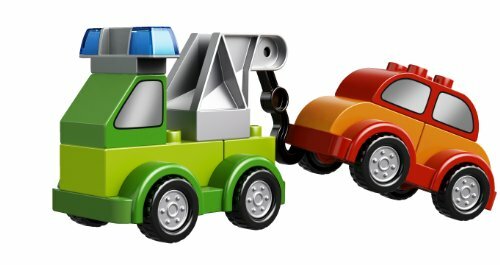 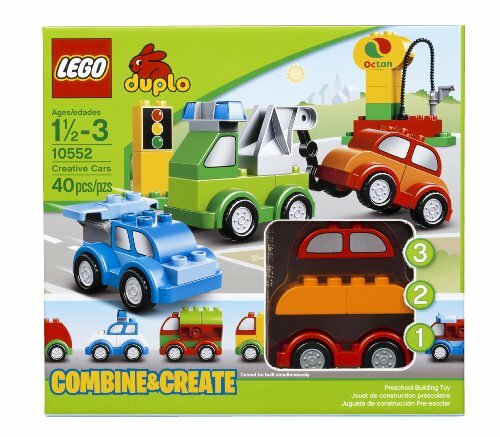 With the special combine and create concept, your kid can create vehicles of all shapes and sizes by combining just a couple of colorful bricks. 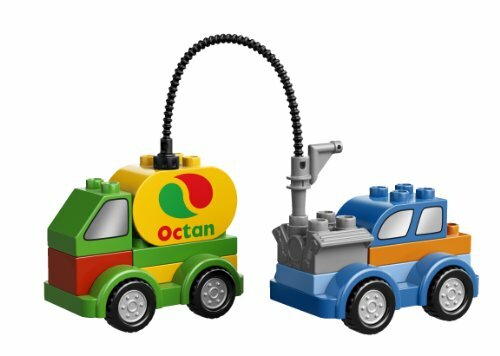 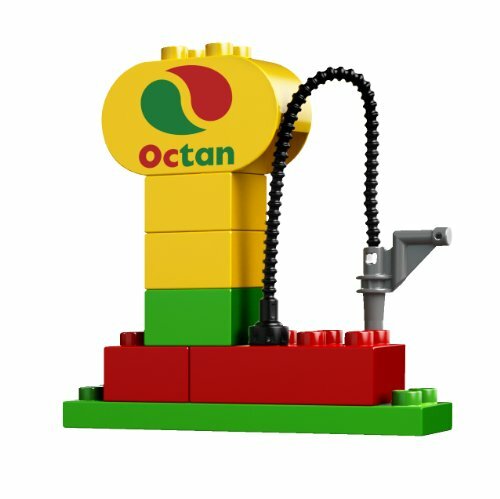 This great set consists of 3 wagon bases, decorated window, targeted traffic and gas station logo bricks, a hose, engine, crane, truck body, spoiler components and other assorted DUPLO bricks. 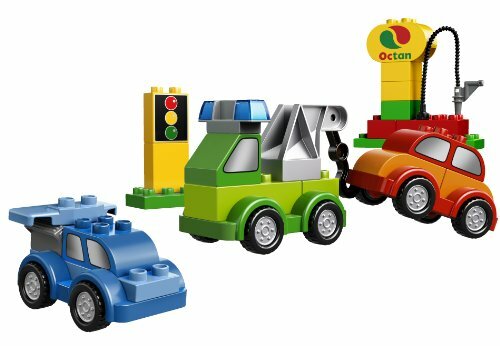 A colorful building inspiration poster is also included. 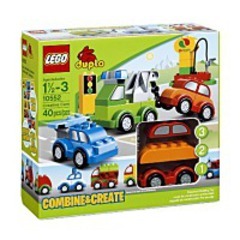 Dimensions: Height: 10.31" Length: 11.1" Depth: 3.76"
Package Dim. 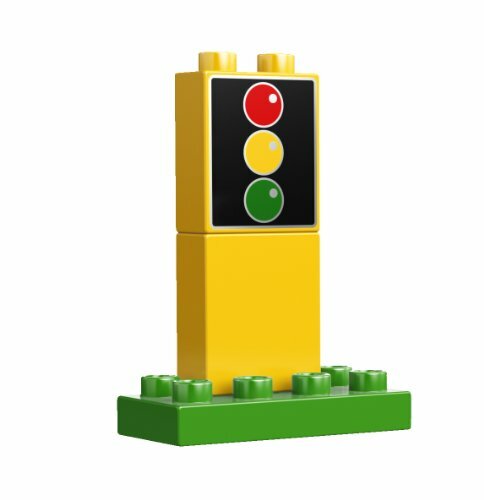 : Height: 3.8" Length: 11.1" Depth: 10.2"